I was recently invited to attend the Global Philanthropy Forum which was a huge honour. I was hobnobbing amongst Philanthropy Industry superstars such as Bill Clapp from the Seattle International Foundation, Charles Koch from The Charles Koch Foundation and Peter Eigen, Founder of Transparency International. I was eager to learn more from peers, grantmakers and academics in the field regarding the Philanthropy environment in California as it is a key area from which Pionero Philanthropy is seeking donors to support grassroots nonprofits in the northern triangle. On the second day, I keenly attended a Keynote discussion titled “Taking on Immigration at the border”. Admirable panelists took the stage such as Johnathan Ryan from Raices, Maria Moreno who runs Las Americas Newcomer School for recently arrived immigrant children and Carolyn Miles from Save the Children. I agreed with their sentiments and that the conditions with which immigrants have to encounter when they reach the border and throughout their journey are abhorrent at best. Harriette Rothwell leading discussion at her table talk session regarding Philanthropy’s role in the Immigration Crisis. The discussion however, failed to meaningfully address the root causes of why people are fleeing the northern triangle in the first place. Surely, addressing the cause rather than treating the symptoms is the wrong way to go about making meaningful change? If the purpose of Philanthropy is to support these communities and the humanitarian issues surrounding it, the root causes of their suffering must be dealt with. Simply giving a helping hand once the damage has been done, trauma sustained and families torn apart doesn’t in my opinion, cut it. Furthermore, I believe that in the long run, welcoming more immigrants from the region makes the overall situation worse in the countries from whence they came. As Roy Beck demonstrates with his impressively effective gumball demonstration, The 1 million immigrants that the US does take in every year are those that if they did not emigrate, would be the agents for change to improve the fate of their home communities. Every year, balancing births and deaths, there are 80 million more people in poverty. The US could take 5 million extra a year but it will never get ahead of the problem, not in this century. I emphatically believe that the true heroes are those who have the wherewithal to emigrate to another country but instead STAY in their communities to apply their skills to help their fellow countrymen. These are the true champions and unsung heroes that I see and work with day in and day out. These are the courageous community, business and nonprofit leaders who tirelessly work (usually for peanuts) to stimulate and support their communities so that they can lift themselves out of poverty and not have to make the heartbreaking decision to leave their family and emigrate. People like Allan Ortiz in the video below from one of our many outstanding nonprofit partners, Caras Alegres. Thanks to Allan and his small team, he has helped lift many families such as that of Maria out of poverty (see below video for the full story). It is people like Allan in which Philanthropists need to support in order for long term sustainable change and improvement in these communities. Immigration will never be an effective way to deal with suffering of people in the world. 99.9% will never be able to emigrate to rich countries. The only place they can be helped is where they live, Let’s empower and support those community leaders and grassroots initiatives that are already working in local communities so even more impact can be made. Pionero Philanthropy partners with over 60 nonprofit partners in Guatemala who are the community change makers that Philanthropists must support in order to improve the current situation both at the border and in central american countries. To find out how you can support these changemakers, contact us today for a free consultation. The city where I was born and raised now seems to be on international news every single day. One morning during a coffee break at work, I picked up a newspaper and noticed the name of my hometown and a photo of Colombia’s President standing next to the President of the Venezuelan National Assembly Juan Guaidó, in a neighborhood I don’t exactly remember, but that can be easily situated minutes away from my home and my elementary school. They are wearing light shirts to overcome the overwhelming heat of Cúcuta’s afternoon sun. They are surrounded by cameras, reporters from many different countries, locals, and people who traveled from other towns to watch a concert organized in support of Venezuelan people to bring awareness to the humanitarian crisis in neighboring the country. The photo, together with the images I see every day on T.V. or social media come with mixed feelings. On the one hand there are the common places, the corners, the bridges and roads I can identify; the faces of people that look like my family, like me. The breeze that smells like recently cut grass, like trees. Despite being a very sunny, hot and somewhat dry town, Cúcuta has always maintained its trees, and it was under the shadows of those Ceibas and Mango trees that I learned to walk, read, and smile. I can see those tired, familiar faces next to the President, excited and in awe to be there, to see him, even though Colombian politicians, especially the head of the central government, were never known to care about, like, or even visit remote areas of the country. But this day is different. I felt confused in seeing the images of so many important stakeholders gathered in this small city of hard-working people, of resilient people, that never seemed to matter much to anyone else except to its next-door neighbor. For many decades Norte de Santander (Colombia) and Táchira (Venezuela) only had each other. Like two abandoned children, we walked hand in hand though civil wars and scarcity, and coup d’eats, and decades of political turmoil. When supplies coming from the center of Colombia were either unaffordable or simply unavailable in Cúcuta, my family would make a 15-minute, hassle-free trip to either San Antonio or Urena, where we would find everything we needed. Having an open border was good for our communities, it was good for our businesses, and was even good for families who, like mine, had members living on both sides. My Colombian family often would visit my aunt and uncles in Venezuela, and they in turn would drive to visit my grandmother in Colombia. We would make a stop during our drive, not because the trip was long, but because we wanted to eat fresh cheese or strawberries, feel the cold air of the Venezuelan Andean mountains, and perhaps buy a loaf of sugary bread to bring back to Cúcuta. One of my earliest memories of these weekly international trips was asking my parents “are we in a different country now?” They would say “not yet” but I would continue asking incessantly, until the car crossed over the international bridge. Only after driving pass the Venezuelan flag would they say “now we are in a different country” and I would start giggling loudly and the entire car would laugh with me. I kept the same joke of asking my parents if we were in a different country well into my early teens. I kept it even though guards allied with Chavez’ government started enforcing border controls; their faces looking harsher, more violent, more xenophobic. I kept asking the same question on my mind, until it wasn’t funny anymore, until uttering these words out loud, next to a Venezuelan soldier, would reveal my Colombian accent and get us all in trouble. Chavez’ military aggressions and human rights violations against Colombians trying to cross the border were a common occurrence. Still people would try to visit their family members, trade with Venezuelan business, or get affordable gas for their cars in the Venezuelan stations. Love, family, and access to basic supplies are compelling needs, too difficult to ignore just because a government has decided to shut its doors to the outside world. Now most people are crossing the border the opposite way, dragging their malnourished bodies from Venezuela to Colombia. Since the collapse of the Venezuelan economy, and the scarcity in food, medicines, and work, millions have traveled to Cúcuta, with others who have more resources or energy continuing their journey south to Peru, Chile or Argentina. For many, especially those from the most remote regions of Venezuela, Cúcuta is a promised land, a place with red cross responders, clean water, and food. However, the reality that those Venezuelans who cross the border to Cucuta find is somewhat disappointing. In large part to the uncoordinated humanitarian response by the Colombian government, many are unable to obtain the basic humanitarian aid that they were desperately seeking and what brought them to Cucuta in the first place. The Venezuelan government has tried to hide the jaw-dropping deprivation that it has subjugated upon its people. It denies the mere existence of a humanitarian crisis, the lack of essential vaccines and medicines even in major hospitals of Caracas. It denies its human rights violations, the people eating garbage on the streets, the dirty water now being consumed by Venezuelan children. Maduro would have even denied the blackout that left most of the country without electricity if it wasn’t because it interrupted his endless hours of verbiage on national TV. These are the hours that he spends trying to convince the Venezuelan people who cannot access outside, non-biased state-controlled media that everything is alright and that everything bad that is happening in Venezuela is due to a plot orchestrated by the United States. Venezuela is now at a decisive point in its history or at least we, the people who support change and democracy, hope so. 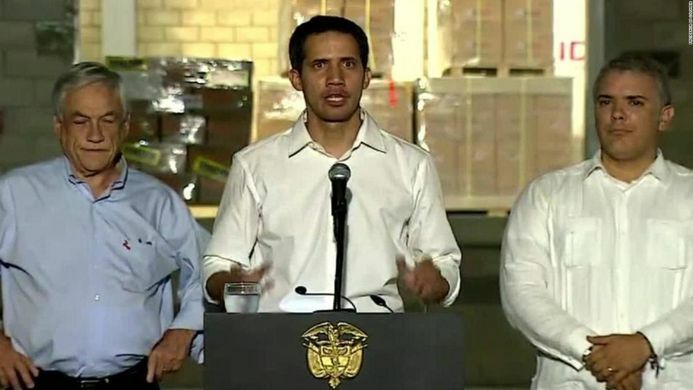 National Assembly Speaker Juan Guaidó has been recognized as interim president of Venezuela by the governments of Argentina, Bahamas, Brazil, Canada, Chile, Colombia, Costa Rica, the Dominican Republic, Ecuador, Guatemala, Haiti, Honduras, Panama, Paraguay, Peru and the United States. Guaidó seems different to previous opposition leaders; a self-made politician with a humble background and a life story that most middle-class Venezuelans can identify with. Still, Maduro’s government wants to make him appear as an oligarch and a traitor, a puppet serving U.S interests. The Latin American left distrusts Guaidó and the people around him. Many see him as a self-proclaimed leader with no democratic backing, regardless of the fact that declaring an interim President in extreme circumstances of democratic disruption was included in the Constitution crafted during Chavez’ government and tailored to its needs. Others fear a military intervention. They oppose the entry of humanitarian aid because they see the trucks loaded with essential medicines and food as trojan horses to initiate a possible U.S backed revolt. Many people fear more of the same old war, but now with Russian or U.S soldiers in their back yards. They fear the massacres, the violence many of them have already been through on both sides of the border under the grip of paramilitaries, guerrilla, or the Venezuelan regime. Who can blame them? The partisan connotations of the humanitarian aid recently sent to Venezuela are very clear and I can understand why so many people are weary of the good intentions of U.S politicians and world-renowned billionaires that a few years ago didn’t even know Cúcuta nor most of Táchira’s cities excited. I share those concerns and I wish there was someone ready to bring change to Venezuela and support all the necessary reforms without some ulterior motive. I also fear that after a transitional government takes over, all that it’s going to be left of Venezuela’s vacant institutions is the same hunger and misery befallen amongst its most vulnerable people. Only now, it would be called democracy and there would be more suits roaming the streets of Caracas, like in “good ol’ days” of Rafael Caldera. But there is something more profound in me that needs to speak out, something more powerful than my fears and apprehensions, something that perhaps most of my friends from Bogotá or New York cannot feel. It’s a yearning for change and hope. And not a hope that is pure and devoid of corporate and political evils. It’s a hope to embrace change as flawed, as uncooked, as unplanned as possible, because any, and I mean any, change is better than Maduro’s status quo. I see Maduro dancing to salsa music while most of the trucks carrying humanitarian aid are turned away, detained at different ports of entry. I see a soulless leader, one that regardless of his political ideology sincerely couldn’t care less about its citizens. A person that would dance, eat, laugh, and embezzle millions of dollars while the majority of its people are either fleeing or slowly dying next to him. I cannot stress enough the incredible importance of what a democratic transition would mean for Venezuela right now. Estefania is a global health lawyer and advocate who managed the Latin American portfolio of the women's rights and health division at the Wyss Foundation. Estefania worked as a staff attorney at one of the largest law firms in Colombia, Brigard & Urrutia, served as a visiting professional at the Inter-American Court of Human Rights, and co-founded the public interest law firm, IVO Legal. Estefania holds a law degree from Universidad de Los Andes, an MA in International Law and Settlement of Disputes from the United Nations University for Peace, and an LL.M in Global Health Law from Georgetown University. I may feel this because half of my heart is Venezuelan, or maybe its because I have all these wonderful memories, some of which I had the humbling honor of sharing with you. But I also believe that this gut feeling, this pressure I feel, comes from my unwavering commitment towards democracy and human rights. Because it’s easy, if you are on one side of the political spectrum to talk about impeaching leaders that violate human rights, separate families at international borders, and seek their personal gains while producing human suffering. So, it should be just as equally easy, equally important, and equally pressing to speak out against Maduro’s murderous regime, to demand the freedom of the Venezuelan people, and to unite around values such as compassion and empathy for those who are hungry, desperate, or dying of preventable diseases. Why Pionero Philanthropy's partner nonprofits are exceptional! We have searched across Guatemala to find the most outstanding nonprofits that are making a real impact in their communities. Pionero works grassroots nonprofits that would not otherwise not be reached by donors due to their small size and limited resources. In fact, 20% of our partner nonprofits have an annual operating budget below $50,000, and 77% have no fundraising staff abroad. A small tailoring business that receives microloans from a nonprofit. A health nonprofit that provides affordable healthcare to rural communities. We work with nonprofits operating across 9 areas of need: Health, Education, Women, Community Development, Human Rights, Animal Welfare, Youth & Children, Crime, Environment & Conservation. To assess each nonprofit’s impact we ask if they conduct social impact evaluation for their programs and ask for reports, statistics and data to backup their claims. We ask about the ways in which projects are developed, analyzing community involvement, methodology of community needs assessments, and relevance of service provided. In addition, we contact local governments and ask about the most high impact organizations in their municipality. We list all issue areas targeted by our partner nonprofits per municipality and collect government data on the evidence of need for each service provided. For example, if we are analyzing an organization that provides scholarship in one municipality, we collect data on education indicators in the region including: literacy rate, percentage of population that completed primary/middle/high school, school retention rates, school attendance per gender, etc. We analyse the efficiency of financial management of each organization by assessing their administrative expenses as a percentage of their total expenditure, number of employees, number of beneficiaries and yearly operating budget. The analysis of sustainability is twofold: we look into financial sustainability and empowerment of local staff. Firstly, we collect data on a nonprofits funding model: what are their different sources of funding, the number of fundraising staff within the country they operate in and abroad. Secondly, we assess long-term plans and local engagement: the percentage of local staff in leadership positions, HR policies towards local staff and whether employees receive full benefits according to labor laws, and the possibility of an exit strategy where programs are fully run by local stakeholders. This thorough evaluation process means we confidently recommend our partner nonprofits and donors have full assurance that their donations will be used for the right purpose. Contact us for a free consultation to find out how you can impact the lives of others working with one of our outstanding partner nonprofits. Over and over again whilst working in collaboration with different nonprofits in Latin America, the same 4 challenges for small, local, organizations presented themselves. It is therefore essential that Major Donors understand these challenges if they want to be responsible and committed to making long term sustainable change in the region. Supporting small nonprofits in Latin America has many benefits including higher comparative impact due to lower overhead and running costs and higher local community involvement and sustainability prospects. Nevertheless, before doing so, take into account the following challenges before taking the plunge! With over 1.5 million nonprofits in the US and 10 million worldwide, it’s no surprise that those with the loudest voices and biggest marketing budgets get noticed first. Furthermore, donors are bombarded more than ever in history with advertising. For example a city dweller 30 years ago saw 2,000 ads a day, compared with 5,000 today. This means that gaining donor attention is even more problematic for small nonprofits with already stretched resources. For Latin American small nonprofits, the geographic and cultural distance on top of other challenges make their visibility even smaller. Do your research before deciding on where to direct your giving. Don’t go with the shiniest looking nonprofit (even if your best friend recommends it). First, analyse your values and identify which themes are important to you (eg Health, Education, Human Rights etc). Then research online or hire a consultant specialist to make recommendations based on these factors amongst others such as length and level of involvement etc. Another School nonprofit. Here is Harriette getting to know the kids. This girl was telling her about her pets! For small nonprofits run by locals who are trying to attract foreign donors, it is usually very difficult to attract them due to a lack of knowledge regarding donor values and drivers. For example, during the evaluation process when my Philanthropy Consultancy vets nonprofits in Guatemala, a few nonprofits were surprised and uncomfortable when we asked about financials. One of the reasons for this is because there isn’t a very transparent or strict accountability system for nonprofits in comparison to more developed countries. This lack of knowledge on the nonprofit side regarding foreign donor expectations means that they don’t appreciate the importance of transparency measures such as publishing annual reports or having a semi-professional website. As a result, these nonprofits are likely to be passed over by potential foreign major donors. If you want to work with a small locally run non-profit located in a developing country, make sure you do your homework beforehand. You need to understand that your expectations may be different to what the nonprofit thinks they are so ensure from the start that you communicate your expectations clearly. You will need to ensure that the nonprofit is transparent and competent at reporting it’s expenses and how they use your donation. It is worth the effort collaborating with small foreign nonprofits as they are more likely to make a more community led and sustainable impact but you must also be patient and understanding of the nonprofit context too. A general lack of trust in Latin American communities is extremely high due to historical, political and cultural factors. Public institutions are rife with corruption meaning that even services designed to protect citizens such as the police cannot be relied upon. This hugely stifles nonprofit progress and growth. For example, “an idea arose to create a database to control and track drug cartels, but the lack of trust among officials rendered it inoperable because they could not find people to run the program.” This is another factor that translates into a low level of transparency and visibility regarding nonprofit income, for fear of extortion. Bear this important culturally ingrained factor in mind when dealing with latin American nonprofits. Corruption within public bodies is one of the reasons why so many nonprofits exist in the first place so when involving yourself with public bodies, go in with your eyes wide open regarding the sad reality that they may let you and/the nonprofit down. A microfinance nonprofit helped this lady with the set up and initial operating costs to start a garment making business. Operations are large, essential costs that all nonprofits need help with and 48% of the nonprofits that Pionero Philanthropy represents said that staffing costs are what they most need funding for. This simple fact, typically puts off naive donors who prefer to see where their money goes such as towards material items rather than into unrestricted funds which can be used at the nonprofit’s discretion. Nevertheless, as Kevin Starr for the Stanford Social Innovation Review says; “Unrestricted money makes an organization work smoothly, enables innovation, and provides fuel for growth. It unlocks potential and allows people to get down to business”. Seriously consider having your donation cover essential running costs of the nonprofit. Think of it this way, when buying a cake, you wouldn’t stipulate that you pay only towards the eggs and sugar and another customer will have to pay for the electricity and staff salary. See this article for further elaboration on this point. There is no problem asking for an expenses and progress report regarding how your donation is being put to use however an element of trust also needs to exist when donating to operating costs. If you have any doubts regarding how your donation is being spent, rethink your nonprofit choice or employ a third party consultant on the ground to impartially verify that everything is going to plan. If you keep these 4 factors in mind, there should be no surprises (well, fewer), if you choose to direct your Philanthropy towards the Latin America region. Even though giving locally or nationally may be an easier, more convenient option, the Latin America region only receives 6.3% of US Foundation Giving with a mere 0.6% going to Central America. What does this mean? Well, there is a lot of impact to be made if Major Donors are informed and dedicated to long term change. 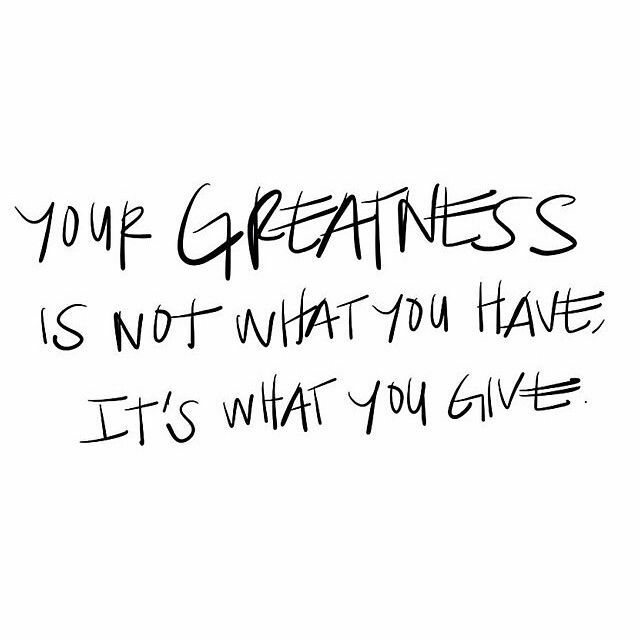 Contact us today for a free consultation to get you started on your Philanthropy Journey in Latin America! Stopping the Caravanas. Philanthropy’s role. Here at Pionero Philanthropy, we want to make something clear about the Caravanas coming from Central America; simplistic reactionary measures such as increasing border law enforcement or cutting aid are simply, not credible or long-term solutions. We are also not pretending that there are simple solutions either but by looking at some of the reasons why it is occurring, we hope, we can give some insight into some possible ways that philanthropists can help. According to immigration lawyer Jennifer Harbury, who does pro bono work at the border for asylum seekers, “These people have the most horrifying stories I have ever heard”. Most are fleeing for their lives, a situation that many in the developed world can not even begin to comprehend. See below video from the Washington Post to see a selection of these stories. According to Customs and Border Protection data, Guatemalans accounted for nearly half of all migrants who sought to enter the United States and having lived in this special country for over three years, I have a greater understanding about why people choose to make the heartbreaking decision to leave their families and risk the US crossing. I see and hear the hardships, inequality, corruption and lawlessness as well as the sheer courage and determination of many earnest citizens to make things work. At Pionero Philanthopy too, we work with incredible people and nonprofits who are making daily efforts to help resolve complex issues from empowering women and making more nutritional corn, to providing affordable healthcare and education to the most impoverished. Guatemala has the 5th highest level of Chronic Malnutrition for children under 5 worldwide. Guatemala has the 3rd highest rate of Femicide worldwide, behind El Salvador and Jamaica. Guatemala has the 5th highest murder rate worldwide. Honduras is at number 1 and El Salvador number 4. I could continue however when presented with these facts in addition to hearing horrifying stories by regular Guatemalan people, you realise that those who are trying to cross the border are not chancers, but desperate to survive because staying in their own country is less safe than fleeing. The Supreme Court ruled that out of 73,000 credible-fear claims, 76 percent were found to have a credible fear of return. “But they aren’t our problem” I hear you cry. Well, as long as the US shares a land border with Mexico, migrants will continue to be an ongoing issue, wall or no wall, unless reasons and opportunities are created for Latinos to stay in their own countries. Here’s a thought: Maybe it’s patriotic to direct aid and philanthropy efforts towards Latinamerica? If these efforts create jobs, opportunities and security, then central americans will want to stay in their own countries and not want to take the risk in leaving. Foreign aid actually protects US interests and as by Sen. Marco Rubio (R-Fla.) said; "Our aid to #Honduras & #Guatemala isn’t charity. It helps us more than them," "By seizing drugs before they enter U.S. & kill Americans." Foreign Government support is an important element in order to strengthen state systems and processes such as the The UN International Commission against Impunity in Guatemala which investigates and prosecutes serious crime in Guatemala. However, from a private Major Donor standpoint, there are some organizations that you can support that form part of the ecosystem of supportive civil society. 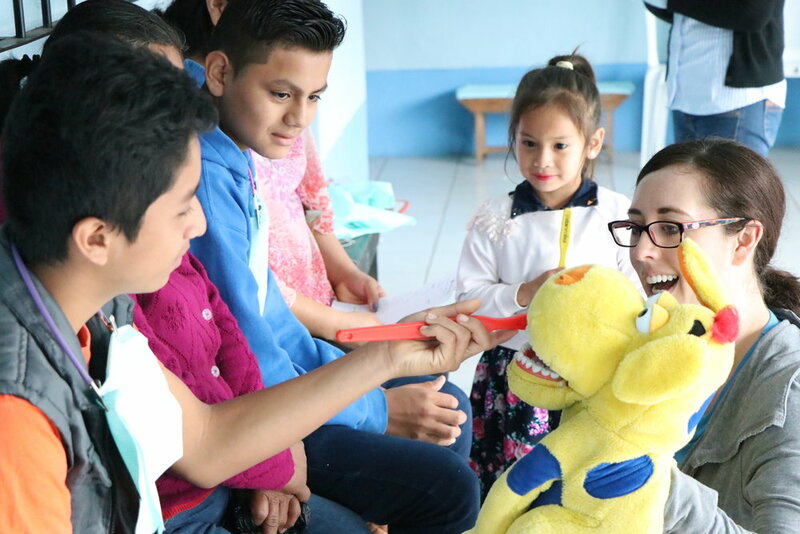 Here at Pionero Philanthropy, we have a comprehensive database of outstanding NPOs that play a key role in the community that help create opportunities and brighter futures for Guatemalans. Every organization has an important role to play from strengthening Women’s Rights education and representation so domestic violence sufferers are able to get the support they need, to after school education programs with at-risk youth which lowers the likelihood of gang violence, another reason why people leave for the border. Contact us about your part for a brighter future for all Americans in both Central and North America. These costs include utilities, supplies and rent however almost half of the most requested area of operations funding (48%) is for salaries and staffing (see left). These costs are not tangible, not “Instagramable”, not something where you can see a clear before and after. As a result, many donors don’t get the same “buzz” out of funding these essential costs in comparison with, for example, handing over school books to 100 smiling kids. This article wants to urge philanthropists to seriously think about directing their contributions towards this crucial area of much needed funding if they are serious about making a long-lasting, meaningful and sustainable impact. It’s time to get real and accept that overheads and operations are the foundation for nonprofit (NPO) success and a funding area donors should be proud to support. So why contribute towards Operations funding, and more specifically, staffing? The lifeblood of nonprofits is its people. During our NPO evaluation visits here in Guatemala, Pionero staff travelled up and down the country and met individuals who hold together whole nonprofit operations on a shoestring. These heroes are fueled solely by exquisite Guatemalan coffee and their unwavering belief in their work despite the obstacles and weight of responsibility in their communities. They need investment, support and capacity building, without which the NPO would become inefficient, unstable and ultimately unsustainable. We at Pionero believe that in order for NPOs to perform well in all 5 key pillars of sustainability, impact, efficiency, transparency and relevance, investment in additional, better trained or specialist staff is the foundation that needs fundamental maintenance in order for everything else to fall into place within the organization. This may mean that Pionero makes it a condition of funding that philanthropists invest in nonprofit training in areas such as Strategic Planning, Monitoring and Evaluation and other key skills that the NPO fundamentally needs in order to give it a fighting chance at long-term stability and sustainability. It may also mean that Pionero strongly urges recruitment. Too often, Pionero staff encountered overstretched staff heroically holding things together whose nonprofit would benefit most just from another person sharing the load. Just because philanthropists may not physically see their contribution to Operations and staffing, doesn’t mean that the impact doesn’t exist or cannot be measured or expressed. In this regard, it is the responsibility of those measuring and evaluating impact to convincingly express it in compelling ways. This reporting service is something that Pionero can provide to donors should the nonprofit not have the resources to do so. To give a simple example, one animal welfare/rescue nonprofit we partner with desperately needs an administrator so that the directors can escape the back office and focus on their mission of raising awareness about animal welfare issues in the local community. In reflecting this impact, many quantitative and qualitative measures can be installed to fully reflect the sizable impact made to the donor. For example, a time and opportunity cost analysis using attractive graphics could reflect how the directors were spending their time before and after employing the administrator. The directors would for example be able to increase the number of community education campaigns, neutering clinics and numbers of rescued animals. Mix these figures with photo evidence and you have a compelling impact report for the donor - and all this impact because they invested in an Operational cost. Many NPOs reported that a large proportion of their funds are restricted to very specific areas. For example, if an NPO runs a campaign to raise money for medication, any excess raised cannot legally go towards anything other than medication. Similarly and more importantly, Grant-making foundations prefer to fund specific projects and capital expenditures, rather than general overhead and operating expenses. To give another example, one NPO education partner said they relatively easily found funding for large scale school construction projects. The problem they now face however, is how to sustainably employ staff to run the schools themselves. We challenge you to find a grant or donor that solely wants to fund day to day ongoing operational costs! We at Pionero feel we have the responsibility to shed light on the findings of our NPO evaluation visits and to clearly communicate what our nonprofit partners truly need. Donor education and awareness raising regarding the importance of funding Operations is imperative if Pionero is to also stay true to its values. So let's break the old fashioned notion that overhead is bad. Let’s be PROUD to fund essential bread and butter NPO operations that make nonprofits better fulfil their missions. Make a complementary consultation appointment with our friendly and passionate team! Pionero Philanthropy has had an extremely positive, eventful and exciting month! We welcomed a new Donor Relations Manager, Head Researcher and Communications Manager in addition to taking new client calls and making new Nonprofit partnerships in more remote areas of Guatemala. With all these encouraging developments, I also felt it was time to take a moment, reassess, and revisit the strategic plan because “of all the contrasts between the successful and unsuccessful or between the leader and the follower, the single most important differentiating factor is strategy” (Olson and Currie 1992). Furthermore, in addition to going through the Strategy process, I personally felt it was just as important to, as a team, reflect on ensuring that the company is walking its talk and living its values. It was time to hold a mirror up to Pionero and ensure it is meeting or exceeding the same high standards it expects of the NPOs it collaborates with. The team spent 4 days in Antigua, Guatemala, at Pionero HQ revisiting and fine-tuning our values, vision and mission and making a Strategy Map which broke down these bigger picture elements into goals, objectives, measures, targets, and actions with deadlines. So what did we decide in order for Pionero to deliver maximum Impact, Efficiency, Transparency, Sustainability and Relevance? How can we lead by example and be true to our expectations of others? Below is a selection of the objectives we committed to put into action for 2018/2019 based on the 5 pillars we evaluate our NPOs on. We shall publish comprehensive Annual Reports that shall be published online which go into more detail than what is required. We shall publish our 2019 Strategic Plan online. We shall always be open and honest in our communications to both NPOs and Donors in order to keep both parties satisfied. We shall publish comprehensive Impact Reports using a variety of Monitoring and Evaluation tools for each collaboration and project we are involved with. We shall incorporate a new CRM system and processes for efficient working and communications. We shall evaluate how Pionero can be of greater assistance to NPOs and communities by carrying out a Needs Assessment of different Latin American countries in order to make the most informed decision regarding additional country expansion. We shall be carrying out Feedback and Satisfaction surveys to both NPOs and donors to ensure that our services are relevant and exceeding expectations. For sustainable operations, we are focussing on slow and steady expansion of the company going into 2019. We have committed to dedicate 2019 to verifying all processes and systems so that they are water tight, efficient and effective before scaling up to the next country expansion in Latin America. Stay tuned for us putting these objectives in action soon! 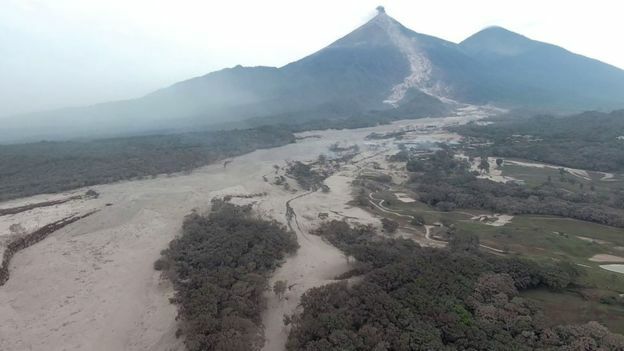 On June 3rd, Guatemala witnessed the worst eruption from Fuego (“fire”) volcano ever recorded. 70 fatalities have been recorded and 192 are missing. These numbers are sure to increase over the coming days. Pionero Philanthropy’s base is in Antigua, approximately 9 miles from Fuego and we have seen a large variety of Philanthropic efforts taking place on a local, national and international scale. When searching for “Guatemala Volcano” on www.gofundme.com, a staggering 545 campaigns appear. One page has raised over $70,000 and the majority, at least a few thousand dollars. Some of these pages are raising funds that will be transferred to reputable non-profit organizations (NPOs), whilst others are using the money to buy supplies such as medicines, food and clothing to carry out their own efforts. Other actors include local and national companies, from cafes and hotels to nationwide Pharmacies and chains setting up Donation drop off points whose items are distributed through intermediary NPOs. Local NPOs, including those whose expertise isn’t in disaster response, are utilizing their local networks to coordinate the distribution of materials and their broader network and donor bases abroad for monetary support through Social Media channels. 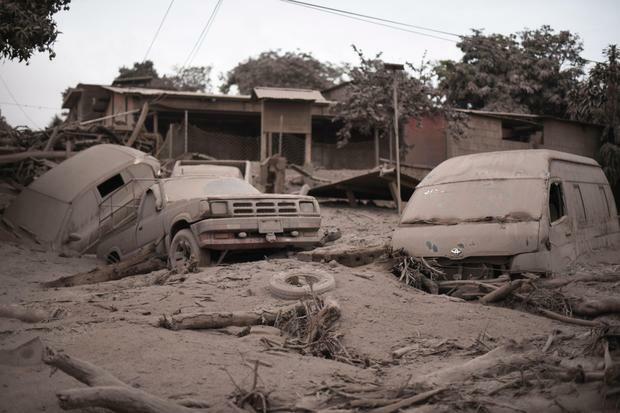 Given that Pionero’s mission is to connect donors to outstanding causes and that we are here on the ground, we felt it necessary to provide some reflections and pointers on what we believe every donor needs to keep in mind in order to best support Guatemala at this tragic time. 1.) Material or Monetary donations? This depends on where you are located. If located abroad, then money is indisputably the best method of supporting aid efforts. There is no point sending, shipping or travelling to Guatemala. There is no postal system, private couriers are expensive, and carry on luggage and plane tickets are an inefficient use of funds. Your money goes further by donating to a reputable and effective NPO who can source products at the best price in-country. Furthermore, the flow of money supports the local economy rather than adding to international couriers and airlines' bottom lines. If you are a local resident of the area affected, material items, so long as they are relevant and given to a responsible NPO is another possible option. 2.) Do your due diligence before donating. Donate to organizations that have a good reputation in the local and international community. Unfortunately, during times of crisis and goodwill, there are also people who take advantage and set up fundraising pages and campaigns that are fraudulent. Locals, volunteers and first responders at Alotenango where survivors take refuge. Fuego volcano smoking in the background. Although the country hasn’t experienced such an event with this volcano for over a century, you ideally want to donate to organizations that already have experience and processes in place for effectively distributing the resources. In times of crisis when the situation is constantly changing, you want to trust organizations that have tried and tested processes in place and networks with important actors such as government agencies so that distribution of resources can reach those most in need in the shortest time. However, we aren’t living in an ideal world here in Guatemala and other than the Red Cross that is working with CONRED (Guatemala’s national civil protection authority in disaster management), it seems that there are very few to no specialized NPOs operating in disaster relief at the time of writing. There are however, many other NPOs who specialize in other areas such as health and housing who are utilizing their networks and resources to take action. If a donor has trust in a particular NPO with whom they feel confident, then donating to these NPOs could be an effective and fast-acting option. 4.) Think about HOW you want to help – long term or short term? Sure, everyone’s knee-jerk reaction is to donate items for immediate relief, but what happens once the media circus leaves town? Think about whether you want your funds to be used for the short term or the long term. For example, once communities move out of temporary refuges, they will need help with housing, roads and ongoing health care. It doesn't matter within which area you want to help, but at least bear in mind that natural disasters, although quick to take place, take years, if not decades to recover from. 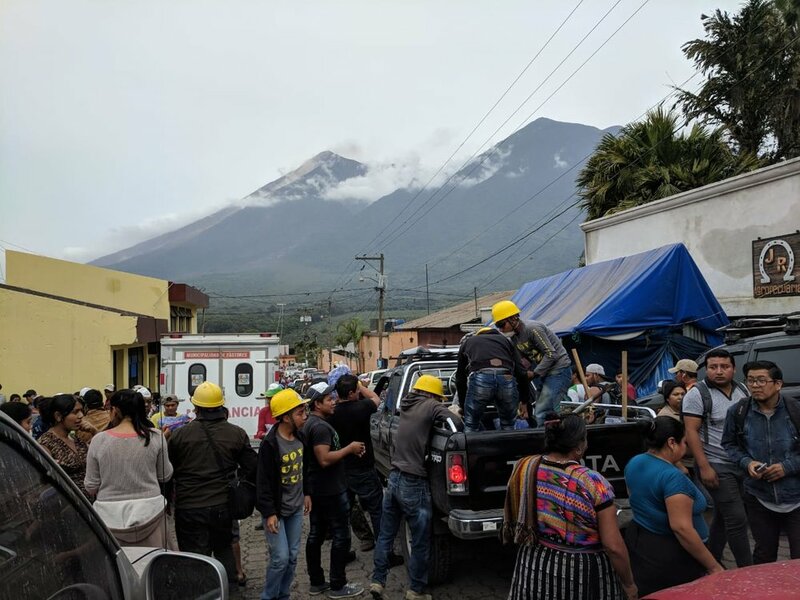 We hope this blog entry has shed some light on the unique situation that is happening here In Guatemala and leads donors to think a little more before they donate. It is definitely worth it if you want to make the biggest difference possible. The team has been visiting and evaluating a variety of incredible small to medium sized NPOs these last few weeks in the Sacatepequez region of Guatemala and what an interesting and mission affirming time it has been for Pionero! Isabela (Guatemala Program Coordinator) and Harriette (Director) carrying out their NPO evaluation with NPO Niños con Bendición. Evaluating awesome Education NPO, Niños de Guatemala. We have visited causes related to education, youth leadership, women's rights, skills acquisition and even a project that takes vulnerable mothers and their children out of dangerous situations in order to rehabilitate and prevent them from putting the children into orphanages. As expected, we have met some impressive NPOs doing incredible work on the ground but who need a little helping hand with promotion and cheerleading to prospective donors abroad! Well, that’s where Pionero comes in! First we investigate what NPOs to consider by building an initial list. We ask contacts of ours, stakeholder groups, government records of registered NPOs and specific NPO websites that advertise NPO information. We organise NPO visits where we meet directors, stakeholders and beneficiaries. We ask targeted questions and seek further information regarding our 5 pillars; Impact, Need/Relevance, Efficiency, Transparency, Sustainability. We make a final report based on our findings that is signed off by the NPO for accuracy. This report is presented to targeted donors who are seeking NPOs that meet their requirements. Stay tuned for the next instalment from us as we continue our visits going into the Lake Atitlan region this week! Tuc Tuc Transport.... somewhere in the Sacatepequez region! Read about Pionero's talented team! In January 2018, Pionero will officially launch its's website and services!